The DA meter is an instrument that, by means of absorbance properties enables measurement of the chlorophyll content in fruit. The chlorophyll content is a precise index of the fruits ripening state, is very accurate and is not affected by any environmental factors. Technology 49 (2008) 319-329. Units are now commercially available in Australia for use on some fresh fruit cultivars. No work has been completed for canning peach varieties and to become effective a separate calibration and development of the specific DA index for that variety needs to be done. Absorbance properties vary for individual fruit varieties but once the initial calibration is completed the DA index can be applied for this variety in subsequent seasons without the need for re-calibration. 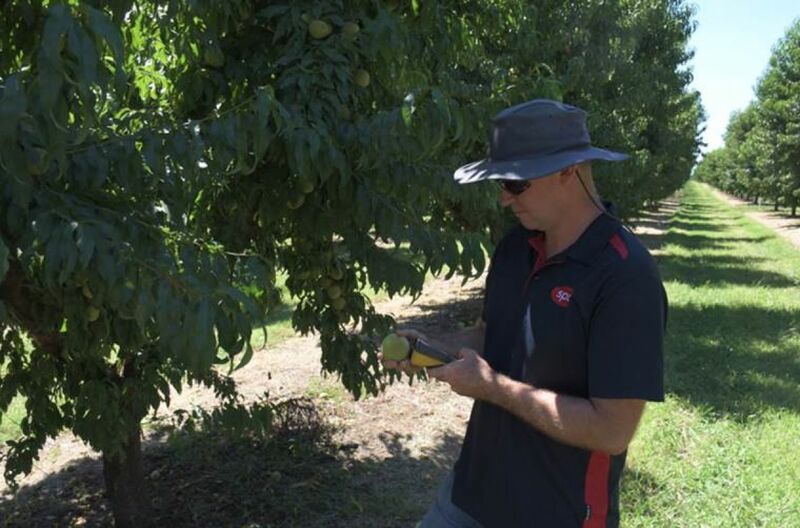 This project aims to develop a calibration curve for the five major canning peach varieties: Tatura 204, Tatura 215, Tatura Blaze, Golden Queen and Taylor Queen.